I recently wrote how Visual Studio 2010 is very slow on my fast PC, taking 25-30 seconds to start up. Thanks to a Microsoft employee who helped me but wishes to remain anonymous, my problem is solved. The VMWare add-in, VMDebugger, causes Visual Studio 2010 to load very slowly on my fast PC. Zain Naboulsi, a Senior Developer Evangelist at Microsoft, has started the “Tip of the Day” series for Visual Studio 2010, taking the reins from Sara Ford. The second beta version of Visual Studio 2010 and Microsoft .NET Framework v4.0 are now available. VS 2010 and .NET 4.0 deliver significant new capabilities and improvements. 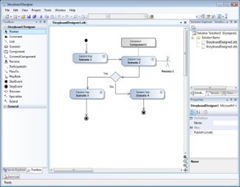 The Beta 2 release was focused on performance, stability, and the integration of the overall feature set. The development team is awaiting our feedback on the product and preparing for the final release candidate (RC). Beta 2 includes a “go-live” license, which means you can start using these tools for your production projects. 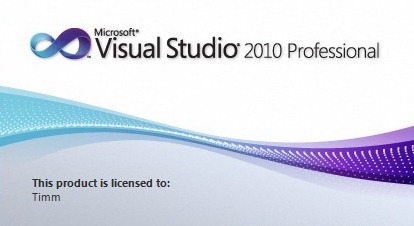 VS 2010 and .NET 4.0 are slated to be released on March 22, 2010. If you create software development tools, you’ll want to consider building on the Visual Studio Shell. A streamlined Visual Studio development environment, the Visual Studio Shell provides the core foundation so you can focus on building your application’s unique features. Flexible customization options help you deliver optimized experiences for specific markets. Note that the Visual Studio Shell is royalty-free for building and deploying applications. Optimized for languages and tools. Created in response to requests from our partners, the Visual Studio Shell gives you the option of integrating your tools with Visual Studio or creating an isolated, custom-branded application.